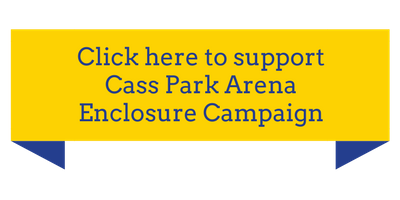 Celebrate Cass Park Arena's past and raise funds for its future enclosure project! A gala to raise funds for the enclosure project, and celebrate its first 45 years! Reception, Dinner, Beverages, Prize Package Raffle, Silent Auction, Balloon Bursts, Music and Dancing and FUN! $125 per person, $200 per couple ($45 per person, limited supply of tickets for music and dancing only). 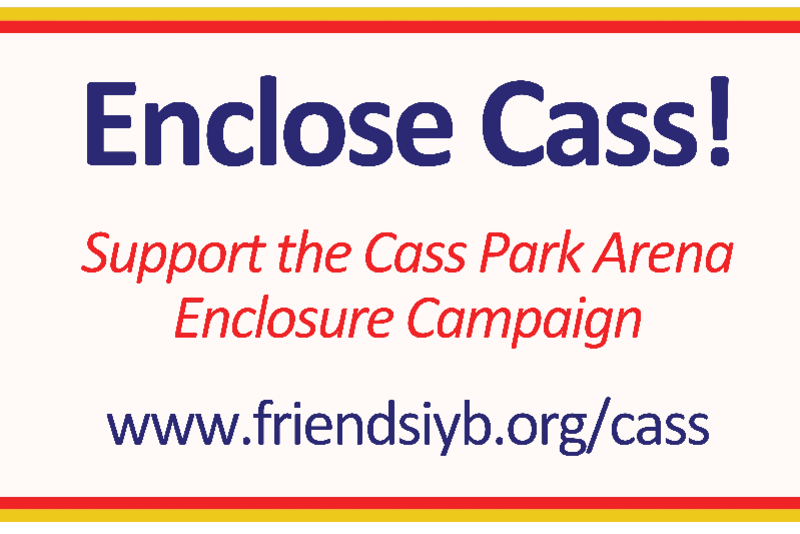 If you are unable to attend but would like to support Celebrate Cass! with a 100% tax deductible donation, click here. Event Sponsors, Prize Package Raffle Donors, Silent Auction Prize Donors, Balloon Burst Prize Donors, Committee Members, Event Volunteers, and Guests! Successful event and campaign depends on our community’s support! 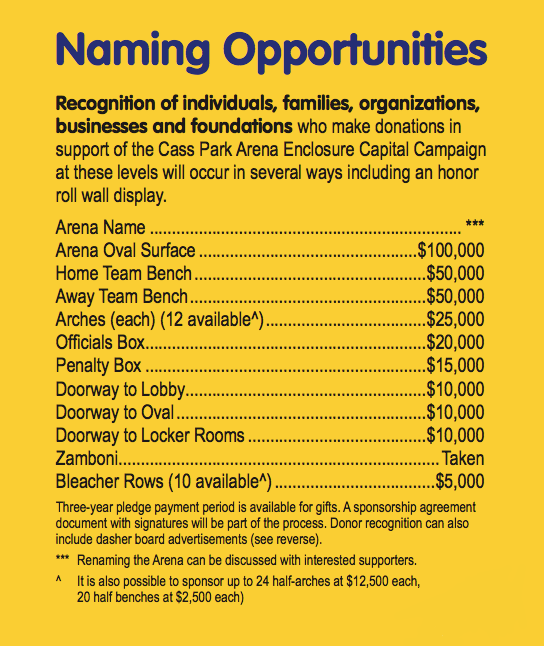 In addition to visibility as a Campaign Donor (Naming Opportunities, Honor Roll, and Dasher Board Ads 23" by 72"), Event Sponsors will be recognized at the event including in the event program, and they will receive tickets to attend. Incodema, the Celebrate Cass! Star Sponsor, challenges all Ithaca area businesses to support the enclosure project by matching all 2017 pledges and gifts! If you do not see your ideal amount when making your gift, please enter a custom amount here. We will be in touch to confirm recognition options and multi-year pledge commitments. Cass Park was built when open air style was more typical, but there's been an evolution and it is now one of the very few remaining in upstate New York. It's a four-season community resource that needs upgrades to be sustainable and successful.